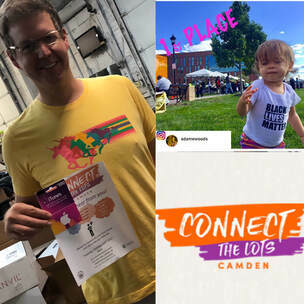 Camden Jam was a full day of continuous live music, kids activities, sustainability zone, food trucks, vendors and more! 2018 Camden's Got Talent showcase: B.Divinchi. Lil' Mo and Arrested Development! with these fun FREE activities available from 2pm to 6pm! *Rides are available for an additional fee. Don't forget your spending money! Support small and Camden-based business! Visit Camden Jam's many vendors and food trucks. Grub on gourmet empanadas, sweet baked desserts from local restaurants! You won't leave empty handed after visiting the vendor showcase! Camden Jam is at Wiggins Waterfront Park on Riverside Drive in Camden, NJ. Parking is available in the Theodore Hinson Parking Garage on Delaware Ave and at the BB&T Parking Lot on Delaware Avenue.